Many people are nervous about working with someone who doesn't natively speak their language or lives in another country. This can be heightened if the working relationship is digital due to remote work. While this apprehension is understandable, it comes from a misunderstanding of how to cultivate cross-cultural teams. By simply being patient and empathetic, you can learn not only about the culture of the people that you are working with, but also about their personal preferences for communication and collaboration. 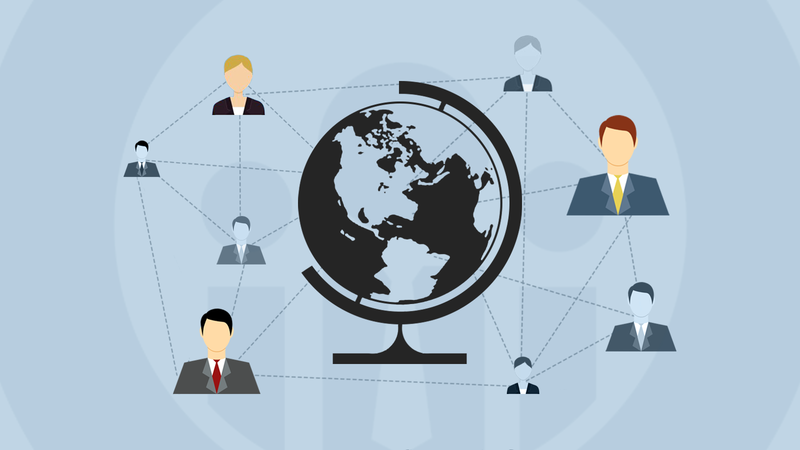 When you manage a remote team, you have to focus on the personalities and communication styles of your team, even more than you do in person. While it's easier to have miscommunications when working digitally, with care and understanding you can manage a cross-cultural team and create a strong working relationship to rival any in-house. Start off with a focus on basic communication practices. Learn about them as a person, and set aside special times to chat about them and their lives. When you're working remotely, this type of interaction is even more important than when you're face-to-face. In a physical office it's much easier just to stroll by someone at the water cooler, say good morning, ask each other how the weekend went, and have personal moments with them. We tend to rate those in-person interactions as being more valuable and more emotionally important than we do when we check in with someone digitally. Additionally, it's difficult to always understand someone's tone when you only speak to them in text communication. When you're mixing this issue of tone in text along with the fact that the person may not be a native speaker of your language, you can easily run into misrepresentations or misunderstandings about who they are, their personality, and preferred communication style. Having regular check-ins helps to bridge the gap and establishes a better connection. Another issue managers can run into with cross-cultural teams is communication breakdowns due to a lack of confidence in language skills. Often times, if someone is not fully confident in their language skills, they will be less likely to speak out and less likely to have long conversations. This does not mean that they are naturally introverted or a naturally quiet person, it may just mean that they don't feel they have the language capabilities to fully express themselves. As a manager, you can help combat this with language training. Don't just focus on grammar and spelling though; a large part of language training is also cultural training. Think about the difference between the British use of the word "lift" and the American use of the word "elevator." These two completely different words mean the same thing and are in the same language: English. However, because of the cultural differences in the two countries, there are a lot of varied words used that mean the same thing. French fries and chips, cookies and biscuits, flashlight and torch. If you only focus on grammar, business vocabulary, and sentence structure, you'll still find that you're going to have misunderstandings and miscommunications. Language is a result of culture. Give your employees the confidence to communicate fully by sharing the specific cultural language that your team uses. When building cultural awareness across your team, the main tool is empathy. Put yourself in the other person's shoes, and encourage your team to do the same. While this is something you should be doing with everyone no matter where they live, it especially important when you're trying to communicate and understand someone who speaks a different language from you and has a different culture than you. Despite the fact that some things you learn may seem strange at first, there are just as many things about your culture and your language that will seem strange to the person you're working with. Sports is a great example of this. As Americans we can look at a sport like cricket and not understand what is going on at all. When other people look at American football though, they are often just as confused. These sports are huge in their own cultures, and even though the sports themselves are vastly different, we can all understand the importance and the enjoyment of watching these games. The majority of things that you'll run into when communicating with someone from a different culture is very similar to this. We all have the same things that we do and enjoy on some basic level, even if those things may look different on the outside. We all eat food, we all enjoy being with our families and friends, we all enjoy sports and leisure activities, and these are all experiences you can share with your team. Make connections to your own life so you can work to understand your team members better. Next, meet your team halfway. In a cross-cultural team, you won't be able to do everything one way, you're going have to mix-and-match after learning about what everyone is comfortable with and the individual personalities of everyone on your team. As a manager, we often think of our jobs as being more about managing the productivity and output of our employees than necessarily managing the employees reactions and feelings. As a manager you should also be concerned about morale, emotions, and how your team is working together. Conflict breeds continuing issues that stretch out beyond the team and into the work. If you have an employee who is upset about something that happened with another employee, they are not going to have the same focus or dedication to completing tasks. Cultivating harmony is an extremely important part of being a manager, and it is even more vital when you're working with a cross-cultural team. When you're putting together your team, or if you get a new team member, go out of your way to put the time and effort in at the beginning of the relationship to learn about them, how they enjoy working, what their strong points are, how they could complement the rest of the team, and where sources of friction might come from. Work from the beginning to mitigate any possible points of stress and help your team fit together. Remote and digital team management requires a higher than usual amount of effort and empathy, but that doesn't mean that it is more difficult overall. Often because you are putting the time and effort into creating a relationship through a digital medium, you find that you learn more about the person than you might when working with someone in an office. This boosts morale and creates stronger working relationships. Take the time to fully integrate your team and encourage sharing, a happier and more productive team will grow from the effort you put in. Anne Sutherland is an Operations & Engagement Specialist at Allshore Virtual Staffing, a remote staffing agency. Proficient in company logistics and growth management, Anne continually stays up to date on the latest business and tech trends.